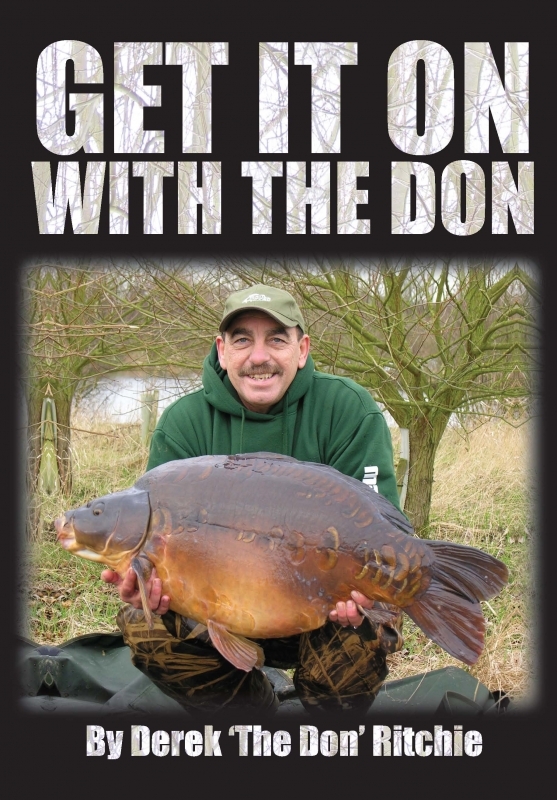 This is the book the carp world has been waiting for!! The hilarious life story of carp fishing's most colourful character, the one and only Derek The Don! Derek the Don Ritchie, there can’t be many anglers in the UK or in the world for that matter who haven’t heard of Derek the Don Ritchie. His battle cries of ‘Get it On’ , ‘Come On’ or ‘Wanger on the Banger’ have echoed across the pools of southern England for the last five decades. This flamboyant and dare I say slightly eccentric carp angler with his love of trance and electronic music, clubbing and laser beam light shows at the water’s edge has dominated most of the southern waters he has fished ,so don’t be fooled into thinking that his loud music has detracted from his catches, far from it, Derek is as keen these days on his carp fishing as he has ever been whether it be here in his native UK or the many waters in Europe that he has conquered. This book covers over fifty years of fishing, from the very early days in Essex on the top waters of the day. His legendary days on the Manor and Cleveley, right up to his current angling at the Rise and abroad. Its filled with history, hilariously funny from start to finish and without a doubt the book of the year! So, sit back, put your feet up with a cold beer and read up about England’s most flamboyant, fun loving and all round great bloke, Derek the Don Ritchie. Get it on with the Don!